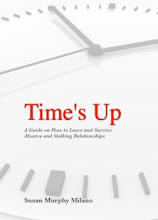 Family Court Crisis-Abusers Getting Custody! : Holding My Hand Through Hell: Susan Murphy Milano – Rest In Peace My Sister! Holding My Hand Through Hell: Susan Murphy Milano – Rest In Peace My Sister! 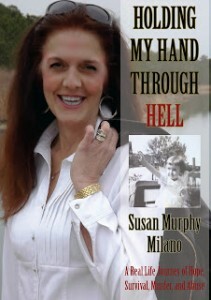 Holding My Hand Through Hell: Susan Murphy Milano,First: 9781888160673: Amazon.com: Books. Earth lost a warrior this week and heaven has gained an angel. Our hearts are heavy with the news of the passing of our friend and sister in arms, Susan Murphy-Milano. I remember the first time I spoke to Susan on the phone when I was in the midst of my family court nightmare. Here was a very busy woman who had taken time out of her day to speak to me about her experiences with losing her son to an abuser. She never minced words, she told it how it is, I loved that about her. It was a long hard road for me during that time for my family and I but they will all tell you that her phone call to me was and is the most important for me. I will tell you that there is no better inspiration than to listen to Susan talk of her childhood filled with violence and then ultimately finding her mother killed by her police officer father in a murder-suicide. There is little to feel sorry about yourself or to think that you cannot change the world, she did. I know I have thanked her for being my soul sister many times, but I want to say again and on behalf of all children and mothers that live the nightmare Susan has had to. Thank Susan, you inspired, empowered and never cease to amaze many of us who will continue to fight and carry on your legacy. Susan was the most humble of creatures and right now I can hear her say in her commanding voice that she is no hero. But she is and I hope that she can let them know up there we could use a little help down here, then again, I’m sure she has already.